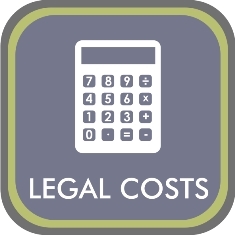 Legal costs is a very important consideration when considering to take legal action or to defend an action. The principle in South African law is that the successful party to litigation should be allowed to recover its legal costs and expenses from the unsuccessful party. The cost order will therefore in general give effect to this principle. What is the difference between party-and-party, attorney-and-client and attorney-and-own client costs? Party-and-party costs is generally regarded as fees and expenses, which appear to have been necessarily, and properly (reasonably) incurred for the attainment of justice or in order to defend the rights of any party. Legal costs incurred through negligence or mistake or against the express instruction of the client are not recoverable. 2. To ensure as far as possible that the successful party is not out of pocket due to the conduct of the unsuccessful party. When making an attorney-and-own client cost order, the Court indicates a strong disapproval of the conduct of a party. It also serves as an indication that the party in who’s favor such an order is granted should be more fully indemnified than an ordinary attorney-and-client cost order. It is therefore taxed on a more liberal basis. This does not however mean that such a bill may exceed the bounds of reasonableness. The mandate between the attorney and his/her own client would be a good starting point in order to ascertain if the fees charged are reasonable. What is the function of a cost consultant? A cost consultant is an attorney who specializes in the drafting, presenting and opposing of bills of costs in front of a Taxing Master. In lower courts the clerk of the court attend to taxations. In the higher courts the taxations of costs is the function of the Taxing Master. The Taxing Master derives his/her powers from Uniform Rule 70(1)(a). The Registrar of the court attends to this function. When instructing a cost consultant it is important to ensure that such a person is in fact an attorney and has right of appearance in the relevant court/forum due to the fact that a “taxed” bill of cost may be set aside should this not be the case. VERSTER-ROOS INCORPORATED ATTORNEYS & CONVEYANCERS attends to the drafting and preparation of bills of costs. Attends to taxation and opposes taxations on a regular basis in different forums.